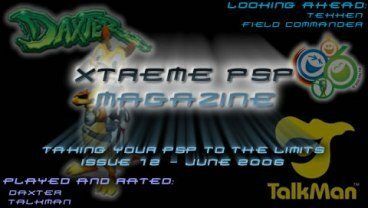 Issue 12 of the Xtreme PSP Magazine is now available for download. Issue 12 is packed with over 110 pages of great content including Previews of Field Commander, Tekken and Astonishia Story, reviews of Daxter, Ape Escape P and Talkman. And all the regular content including tips and cheats, the latest news, a new competition and more… Download it now!